Welcome 2018 with an international feast spanning the open pool deck of Mosaic Chill and Olea restaurant. Enjoy a grand display of culinary highlights, including an exceptional array of fresh seafood, grills and roasts and live cooking stations. 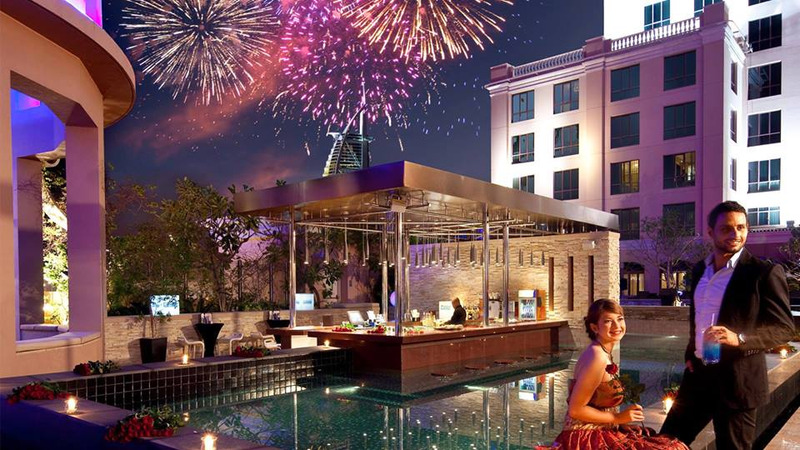 Live music from a five-piece band will help to bring in the new year while you watch the impressive firework display over the Dubai coastline.